MARQUETTE — For the first part of its MHSAA Division 2 team district wrestling tournament match against Escanaba, Marquette appeared to be on its way to a victory. 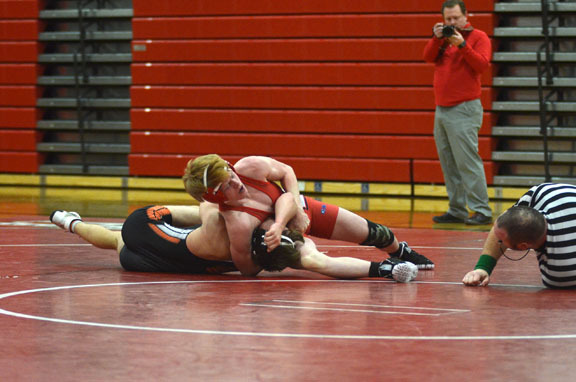 However, the Eskymos rallied and won the last three matches to end the Redmen’s season with a 48-30 victory. Escanaba followed up with a 57-15 victory over Sault Ste. 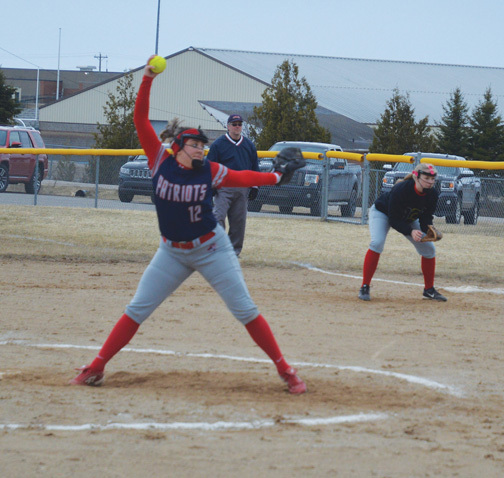 Marie to capture the team district title. 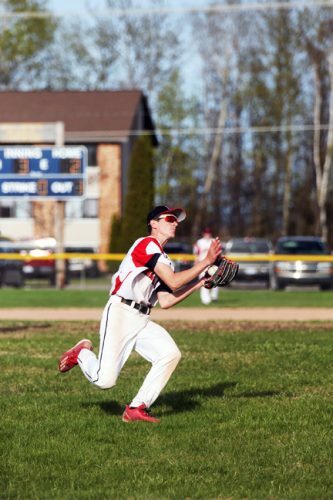 “We tried to mix our lineup up a little bit,” Marquette head coach Tony Gentz said. 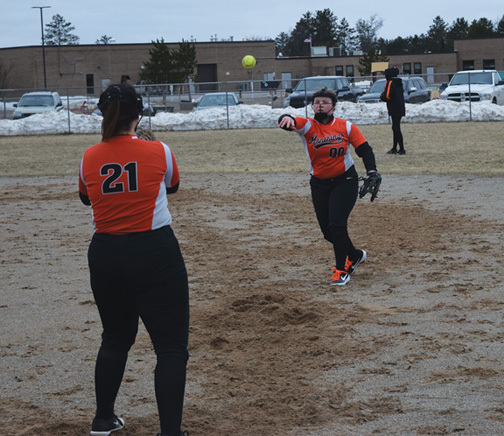 “Escanaba beat us pretty good the first time we wrestled them this year, so we wanted to try and change things up. “We needed to have everything go our way to have a chance and a couple of swing matches went their way. The meet was pretty even before Marquette got a third-period pin from Peyton Holmstrom at 119 pounds and a first-period pin from Joe Lagrou at 125 to take a 24-12 lead. Esky rallied to pull within 24-21 after a pin by Brody Bevins at 130 and a 9-5 win by Tyler Lawson at 135. The Eskymos jumped ahead with a pin by Hunter Larson at 140, but Marquette answered back with a pin by Kuhlman. Trailing 30-27 heading into the last three matches, the Eskymos found their groove with consecutive pins by Noah Weaver, Kahler Geyer and Bailey Papineau. Esky’s Spencer Brunelle gutted out a 7-4 win to complete the win. 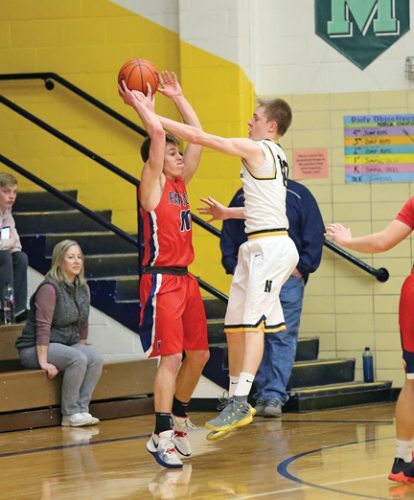 Marquette, Escanaba and the Soo will be Upper Peninsula representatives at the 13-team Division 2 individual district tournament to be held at Gaylord on Saturday.